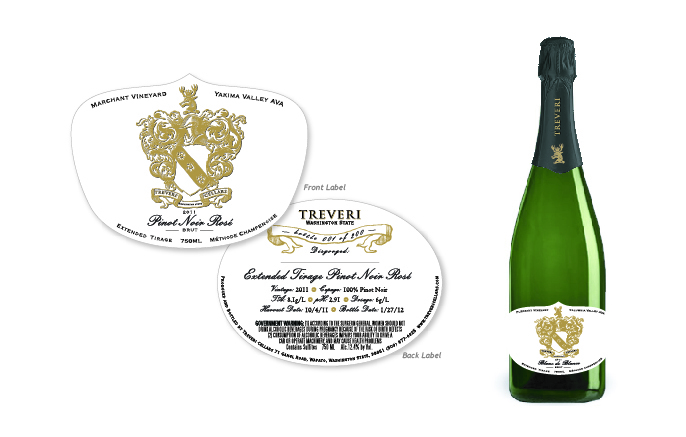 By now you know how much we adore bubbles AND the lovely Grieb family at Treveri Cellars. After working together for a few years, they rang us up and shared a secret with us…they had been developing a whole class of Extended Tirage Reserve Wines (sparkling, of course!) and it was time to start developing a whole new brand for those wines (so exciting!) including these gorgeous labels, lots of collateral and the logo that is featured prominently on all. Who doesn’t love lots of gold foil on their super duper yummy, elegant, luxury wine?